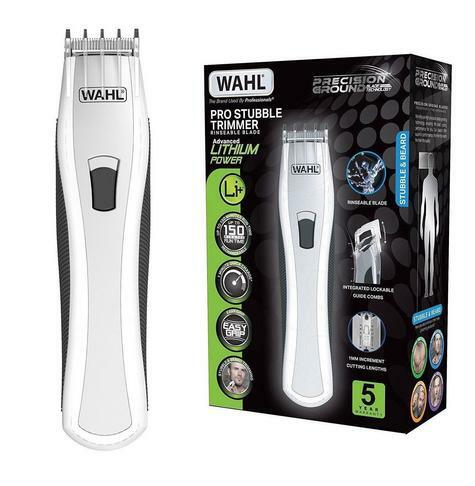 You are here > Health & Wellbeing > Personal Hygiene > Wahl Men's Lithium Pro Stubble Hair Trimmer|Rinseable Blade|Cordless|85413-809? Wahl Men's Lithium Pro Stubble Hair Trimmer|Rinseable Blade|Cordless|85413-809? 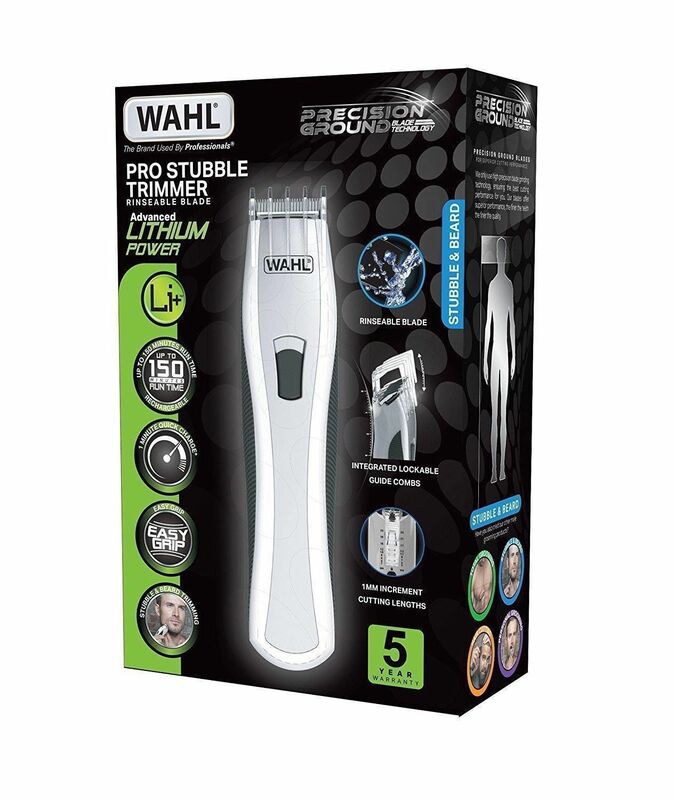 Wahl Men's Lithium Pro Stubble Hair Trimmer?Rinseable Blade?Cordless? Create an ideal stubble finish with the Lithium Pro Stubble Trimmer from Wahl. 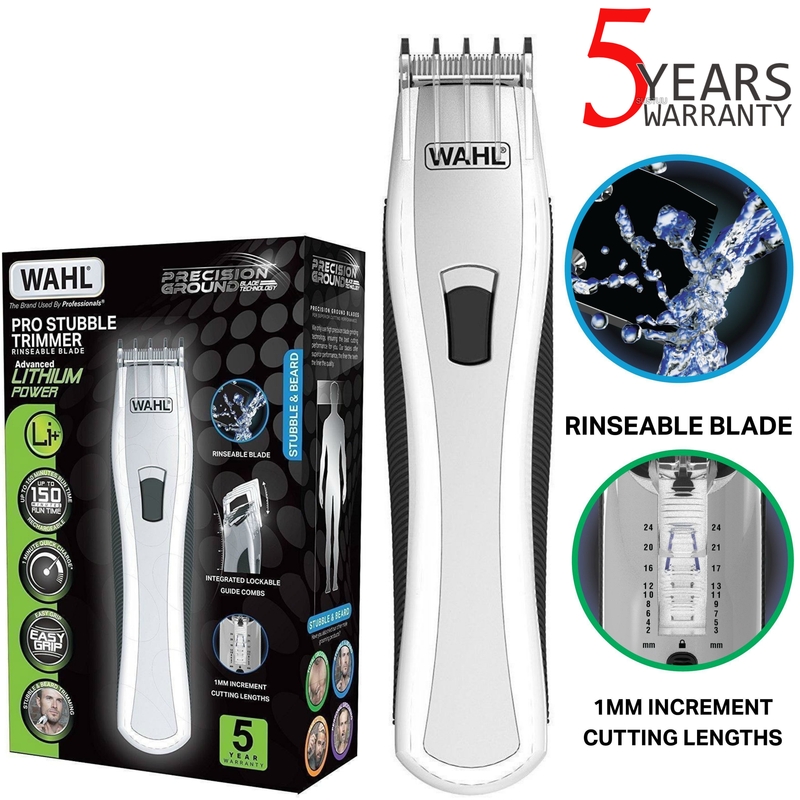 Wahl Lithium Ion technology boasts double the power and twice the run time of standard rechargeable trimmers plus considerably reduced charge times. 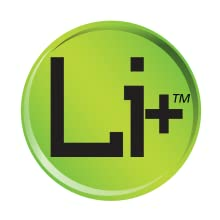 Meaning you won't have to charge as often or for as long so uses less power. This technology also has a longer life span than standard rechargeable batteries and virtually no loss of charge whilst not in use which ensures that it will always be charged and ready to go when you need it. If you're ever caught short and have forgotten to charge simply use the super quick charge facility which offers three minutes use from just a one minute charge - perfect for when you haven't got time for a full charge. 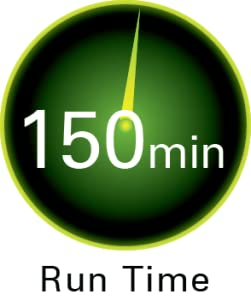 A full charge takes just one hour and offers 150 minutes of run time. Your trimmer comes with two integrated adjustable guide combs, one designed for stubble, and one designed for beard trimming. 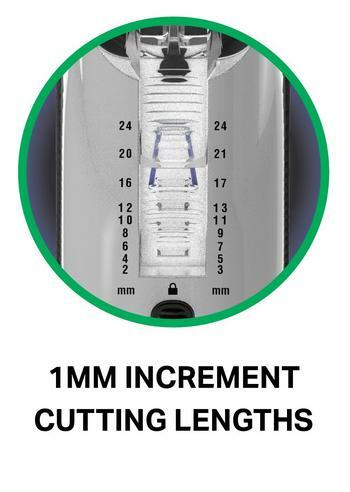 With just 1mm increments, the cutting lengths from 2mm to 24mm help to achieve your favourite length - just lock in place with the slide switch. 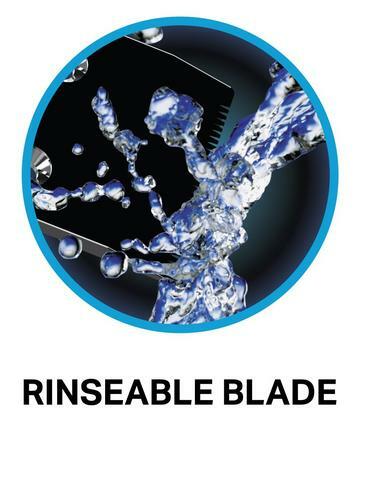 The rinseable blades allows you to keep your trimmer clean and everything comes packed in a soft storage pouch. Complete with a storage stand and featuring precision ground blades for desired cutting performance. 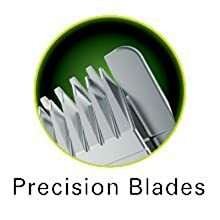 Precision-ground high carbon steel blades give you an optimal cutting experience, staying sharp longer. 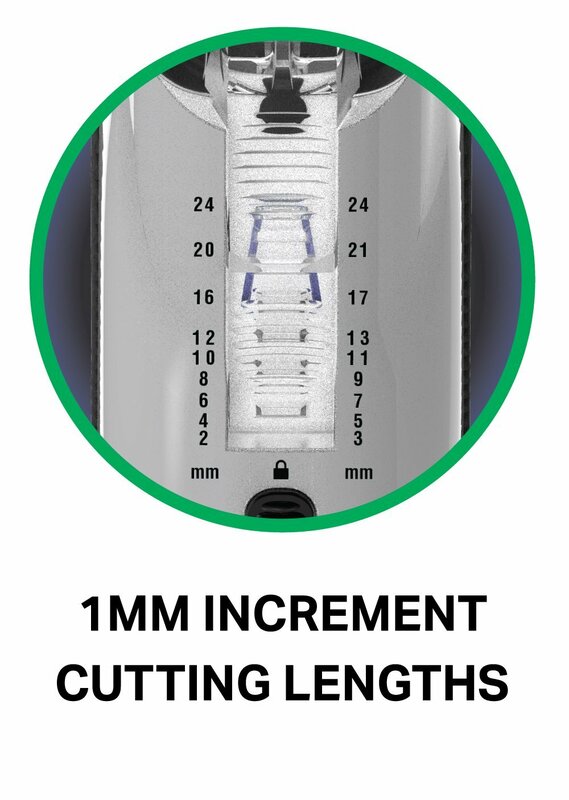 The blade gives you a super close 0.5mm cutting length and with the 2 adjustable attachment combs offering cutting lengths form 2mm to 24mm you have all the tools you need to create your ideal look. 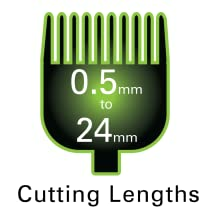 The integrated guide combs have 1mm increments to help you achieve your perfect length. 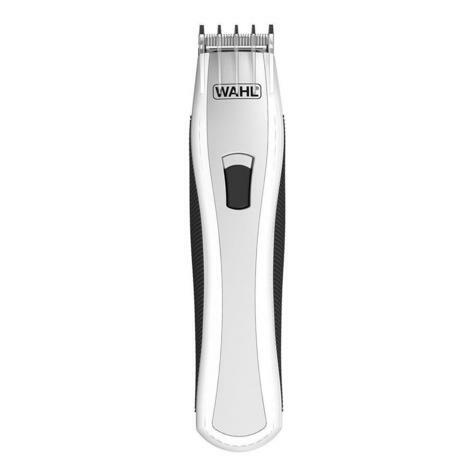 To select your desired length just lock the comb in place with the slide switch. We have made our blade rinseable for quick and easy hygienic cleaning. 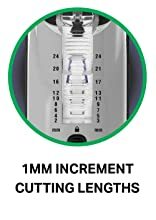 Lithium Ion Technology boasts double the power and twice the run time of standard rechargeable trimmers meaning you won't have to charge as often or for as long. A full charge takes just one hour and offers an impressive 150 minutes of run time, meaning you'll get plenty of uses out of it, making it perfect for traveling. 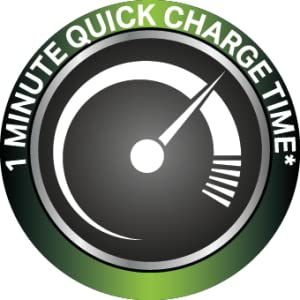 If you're ever caught short and have forgotten to charge simply use the super quick charge facility which offers three minutes use from just a one minute charge - perfect for when you haven't got time for a full charge. NO RETURNS POSSIBLEUNDER ANY CONDITION UNLESS DEVICE IS FAULTY. This item is classifiedas a HYGIENE item and cannot be resold after use. Note: This item mayrequire an adaptor to fit the electricity supply socket in countriesoutside of the UK.